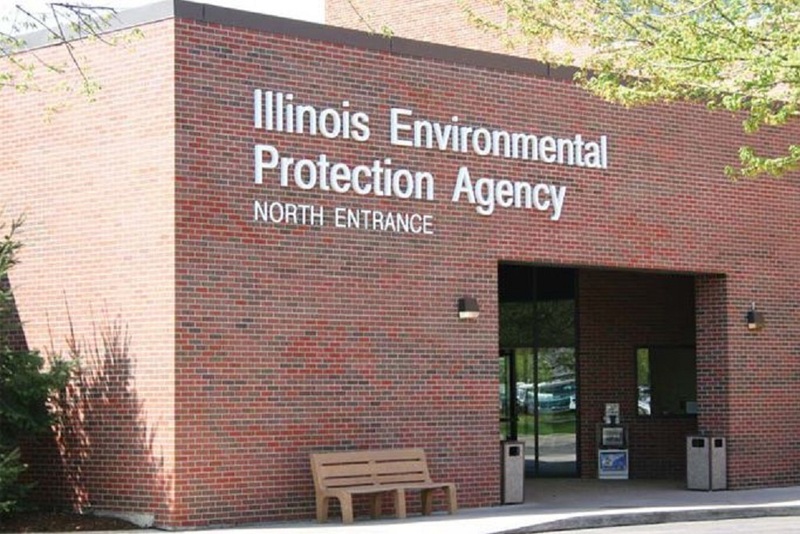 Illinois Environmental Protection Agency issued the following announcement on Feb. 5. Illinois Environmental Protection Agency Acting Director John J. Kim has referred an enforcement action to the Illinois Attorney General's office against GFL Environmental, doing business as Future Environmental, located at 2101 Adams Street, Granite City (Madison County). The referral cites a large spill of used oil from above-ground storage tanks. On February 4, 2019, a report was made to the Illinois Emergency Management Agency regarding a large spill of used oil. Approximately 200,000 gallons were released from above-ground storage tanks with an estimated 500 to 1,000 gallons escaping from the secondary containment system impacting the ground and sewer systems in the area. Oil was observed at the local Wastewater Treatment Plant (WWTP). Absorbent booms were placed in the sewers and there is no impact to operations at the WWTP. The spill also impacted a neighboring property with an empty warehouse with partial dirt floors. Remediation in the building has already begun. A remediation contractor has been on scene and will be coordinating the cleanup and remediation, but additional resources were needed at the site on February 5th to continue the remediation. In the referral, the Agency cited violations of the Illinois Environmental Protection Act. Illinois EPA has asked the Attorney General to seek immediate injunctive relief against the company. It also seeks an order directing the defendant to cease and desist from any storage of used oil on-site without approval from Illinois EPA due to the poor condition of the tanks and containment system. The Agency believes an injunctive order is necessary to prevent site conditions from worsening and ensure the spill is managed in a proper manner.